It is with great pride that I announce that we are in the final for ‘Restaurant of the year’ but we need your vote . . . .
We would love to win this award to further cement the efforts of our team. 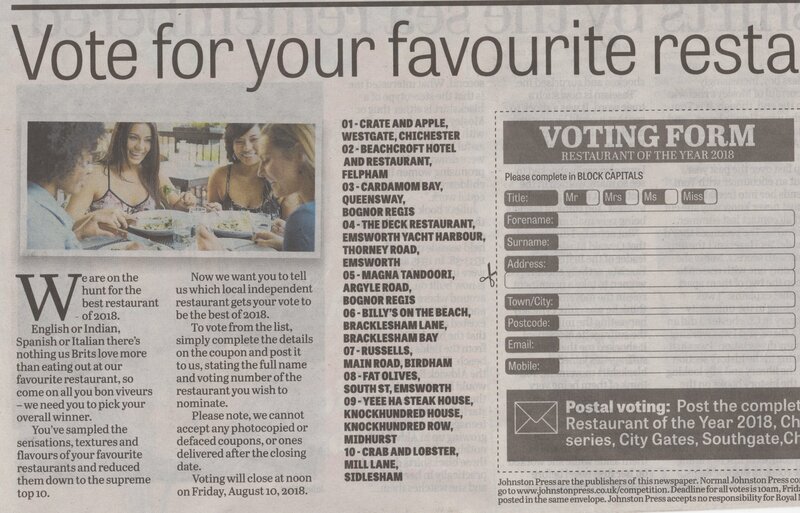 To vote please fill in the form in this weeks observer. Please pop by to pick up your copy and we will keep you informed on our progress.